A-National Limousine Lincoln Town Car is a rear-wheel drive, full-size luxury sedan, and serves as the flagship of Ford’s Lincoln luxury car division. As the largest American-made automobile, the Lincoln Town Car features the most spacious passenger compartment and the largest trunk of any sedan, providing comfort and convenience for customers. 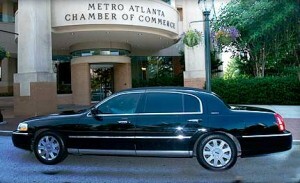 A-National Limousine utilizes the latest Executive L Models because of the added legroom for the rear passengers. The Lincoln Town Car seats up to 3 passengers comfortably and is equipped with rear reading lights and leather seating.